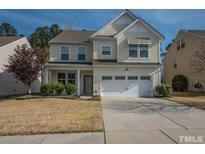 Below you can view all the homes for sale in the Churchill subdivision located in Knightdale North Carolina. Listings in Churchill are updated daily from data we receive from the Raleigh multiple listing service. To learn more about any of these homes or to receive custom notifications when a new property is listed for sale in Churchill, give us a call at 919-759-5754. Upgraded features include new hardwood flooring and fresh interior paint. MLS#2248439. 4823. Great for a playroom or guest bedroom, on the third floor is a large bonus room and a full bath. MLS#2247147. 3389. This 4BR/2.5 baths is A MUST SEE! MLS#2245986. 1502. Upgraded features include fresh interior paint. MLS#2246042. 4823. Community pool. Great location near hwys MLS#2244714. 1768. Upgraded features include fresh interior paint, new carpet in select rooms, and a new HVAC. MLS#2244461. 4823. Conveniently located pool community w/walking trails & quick access to Downtown Raleigh, restaurants & shopping. MLS#2242774. 1502. FULLY FENCED Yard w/ Screened In Porch. Won't Last Long! MLS#2240621. 4381. Fenced yard w/ wooded back views. MLS#2240051. 4883. Bring offers now. HWA Home warrant plus more. MLS#2237598. 1117.